Why Sprouts are good for Diabetics. Diabetes is known as a silent killer and recently many young adults are also diagnosed with diabetes, the number increasing year by year. For a diabetic, along with medication the diet plays a key role in avoiding its progression. Small and frequent healthy meals which do not raise blood glucose levels rapidly is the main dietary focus. One worthwhile ingredient which is a must addition to a Diabetic meal is SPROUTS. Made by sprouting pulses, they do have some amount of carbohydrate in them. But the process of sprouting them decreases the starch present in them by 10%, thus they contain Low Carbohydrates. Additionally, they are a good source of Fibre which doesn’t allow a spike in Blood Sugar Levels. These are the twin reasons for making sprouts a part of diabetic meal plan. However sprouts are often considered boring as they are quote bland. 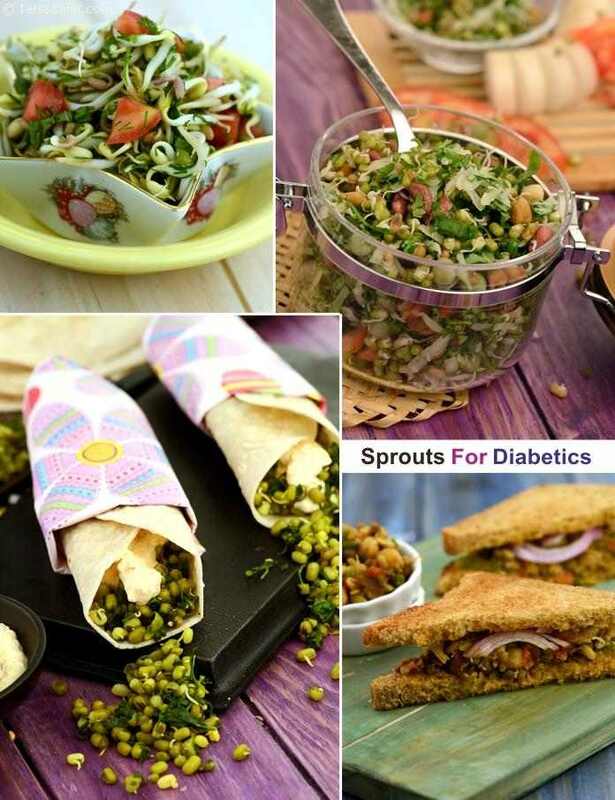 If you are confused about how to cook delicious meals with sprouts to keep a check on your blood sugar levels turn to our well researched recipes like Sprouts Dhokla, Cucumber Bean Sprouts and Apple Salad, Mixed Sprouts and Palak Subzi and many more.